Capcom's classic fighting game passed through the ESRB and is on its way to the PlayStation Network. It's been a while since we've seen a proper 'Darkstalkers' game. It may even be to the point that people don't properly remember what 'Darkstalkers' even is. You may not have played any of the games in the series but you're almost certainly familiar with characters like B.B. 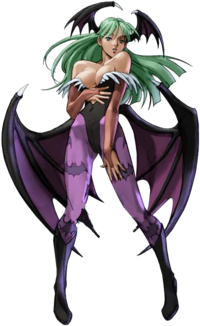 Hood, Felicia and Morrigan who have appeared in the 'Marvel vs. Capcom' series. Those characters, and plenty more, appear in the first 'Darkstalkers' game, which is heading to PSN. There's no official date for the release as of yet, but it's passed through the ESRB which means it shouldn't be too far off.